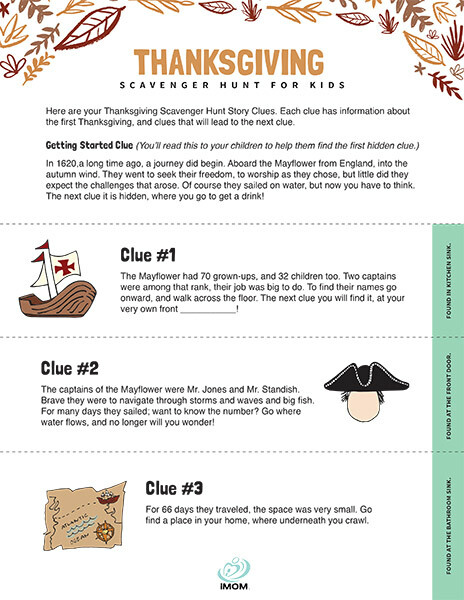 This is the perfect Thanksgiving side dish your children are sure to love—a Thanksgiving scavenger hunt for kids! Not only will they love searching for these indoor clues, they’ll also learn some fun facts and interesting tidbits about the first Thanksgiving: In 1620, a long time ago, a journey did begin. Aboard the Mayflower from England, into the autumn wind. And they rhyme too! So start hiding and they can start finding. Our 5 Best Thanksgiving Printables to Gobble Up!